Here is a unique way to win a Coach handbag! No ‘liking’ required! We just want you to actually learn how to save some money and give us your comments or share your own tips. It’s a great way we can help one another save a few dollars! I would love to learn more about how to coupon so I can’t wait to read all of the great posts by fellow bloggers. 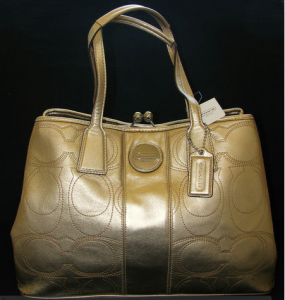 Learn how you can win this Coach bag below. ChineseWholesalehandbags.com dedicated to the hand making of handbags and purses. Daily reviews and recommendations of Chinese designer handbags and purses. You can enter as many times as you want by going to each blog on the linky and repeating the above. The more blogs you visit the greater your chance to WIN the purse. 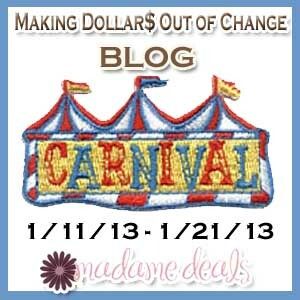 Carnival ends January 21, 2013. Good luck! BLOGGER RULES for Linking up if you have a money saving tip or blog post. I commented on article #1 Make your own duvet cover. Commented on #10 article. Thanks! Commented on article #9. Thanks! Commented on article #7. Thanks! Commented on article #8. Thanks! Commented on article #11. Thanks! Commented on article #12. Thanks! Commented on article #13. Thanks! Commented on article 14. Thanks! Commented on article 15. Thanks! Commented on article 17. Thanks! I commented on the bandana dress.